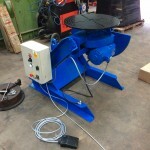 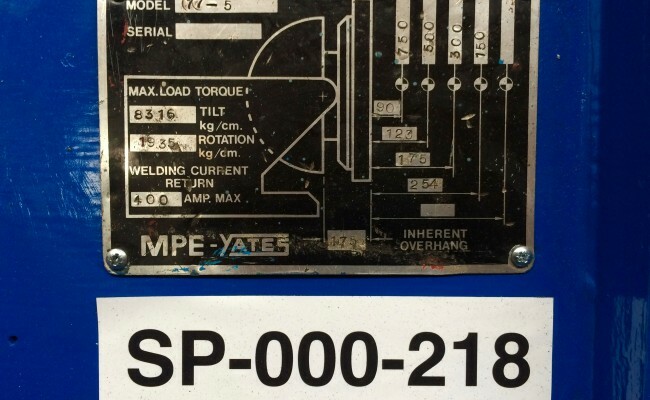 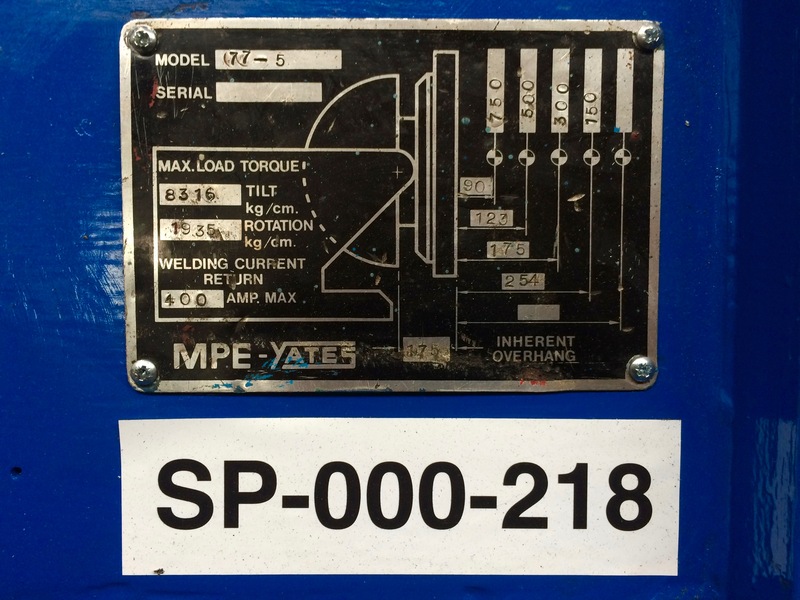 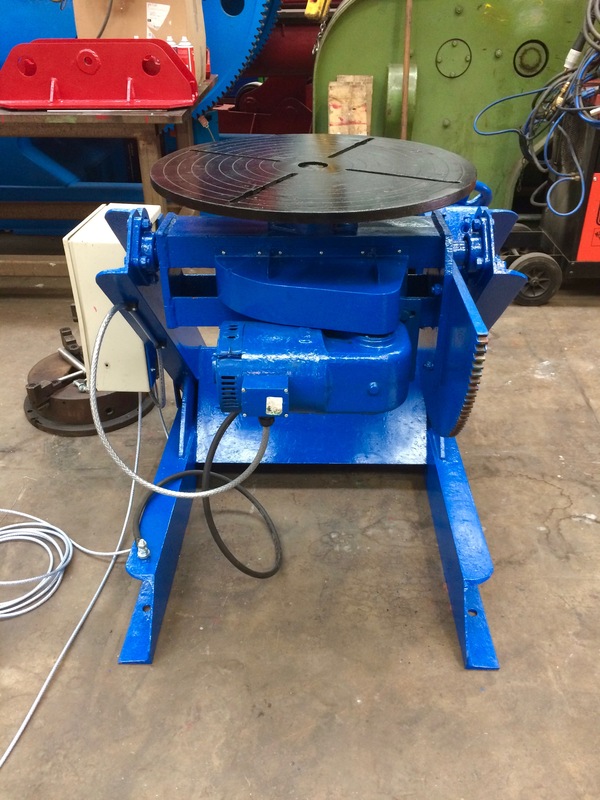 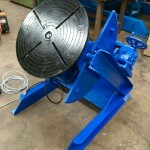 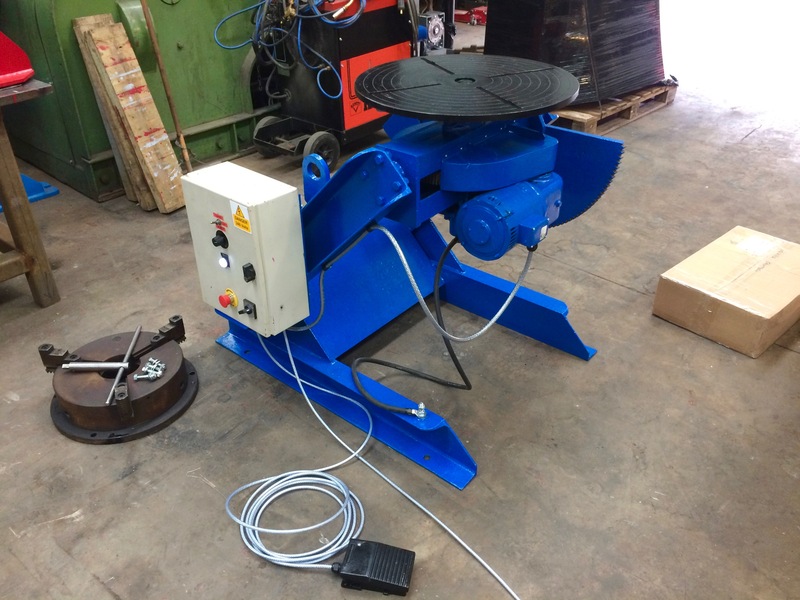 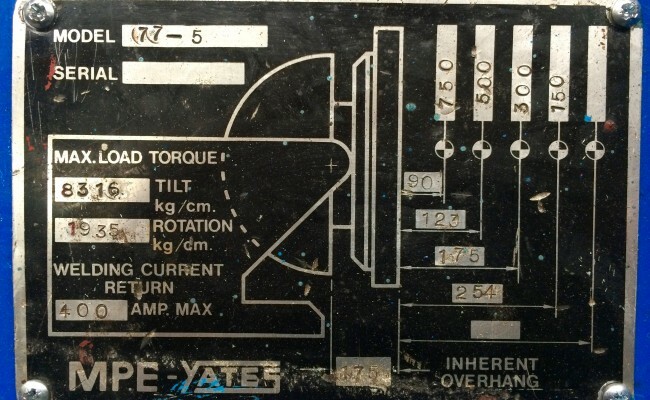 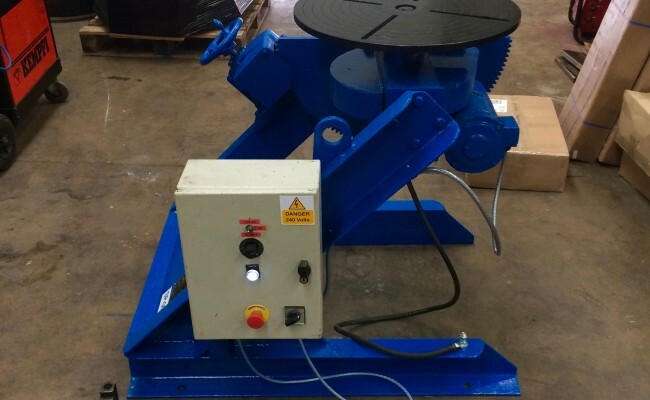 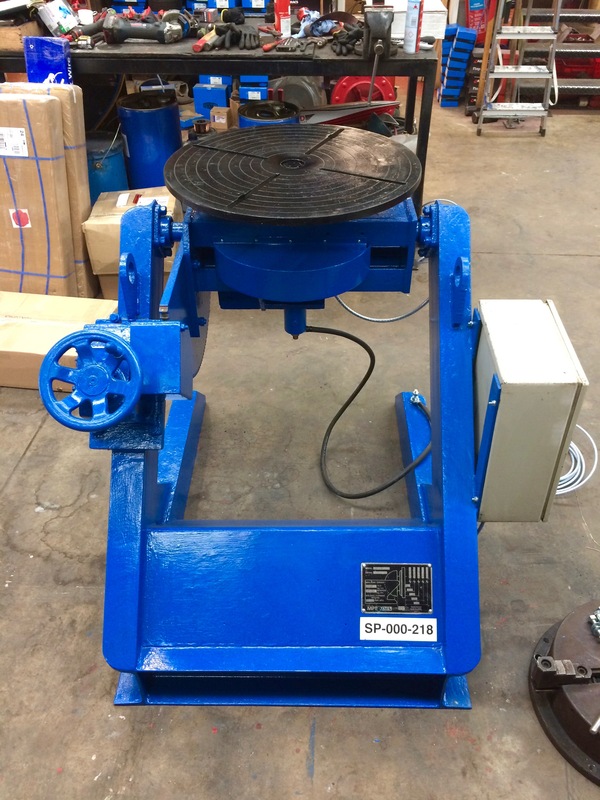 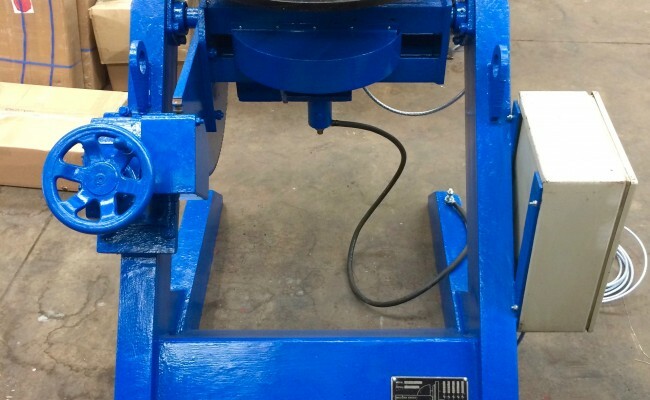 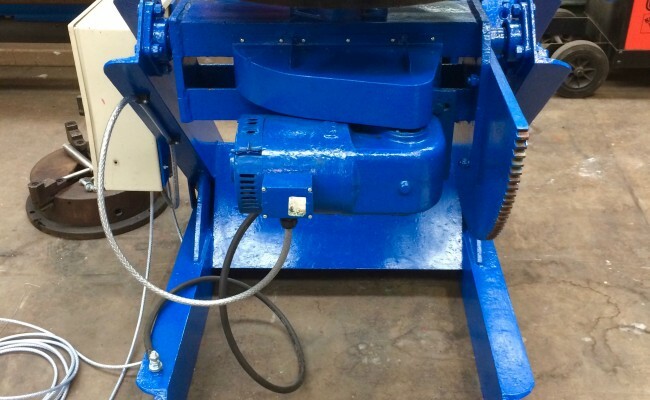 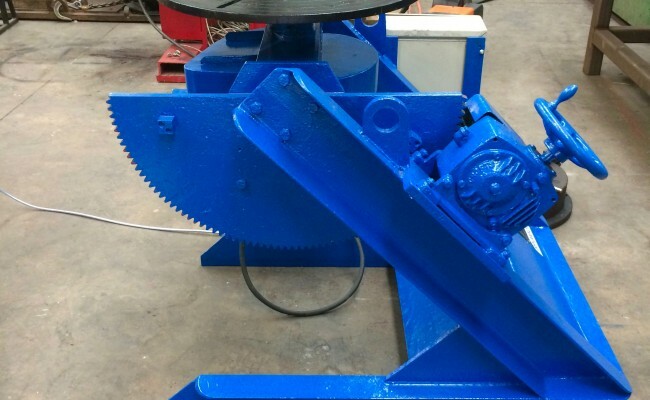 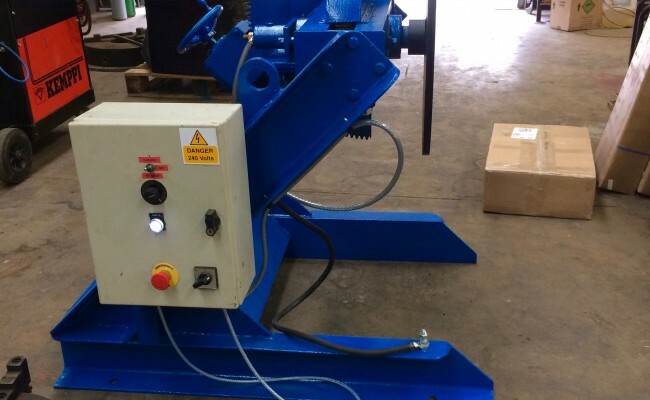 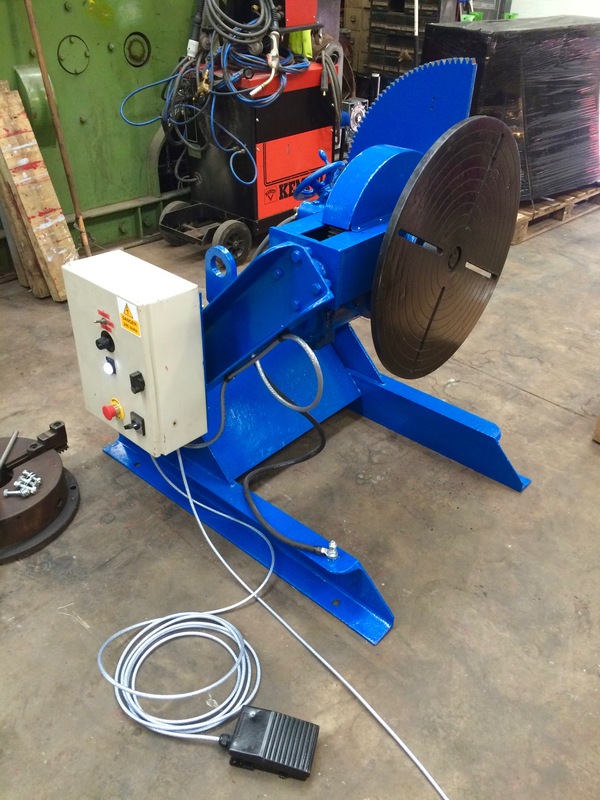 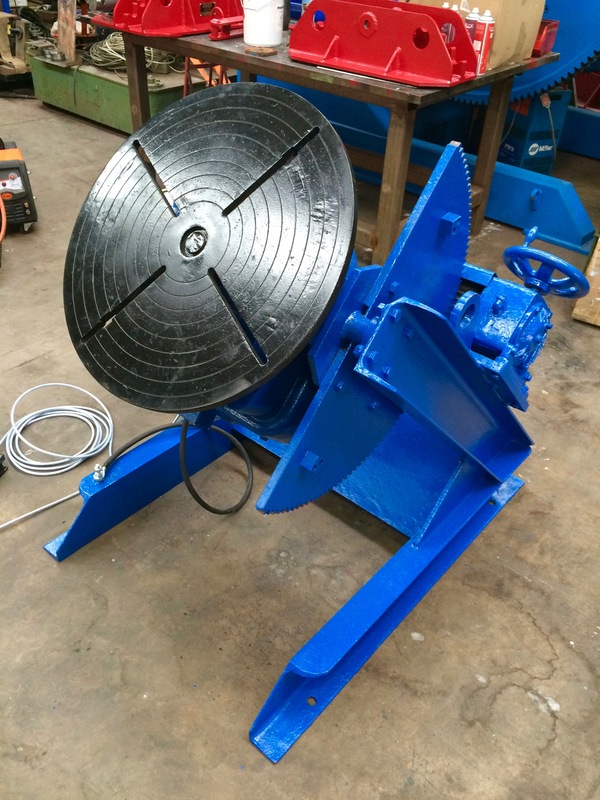 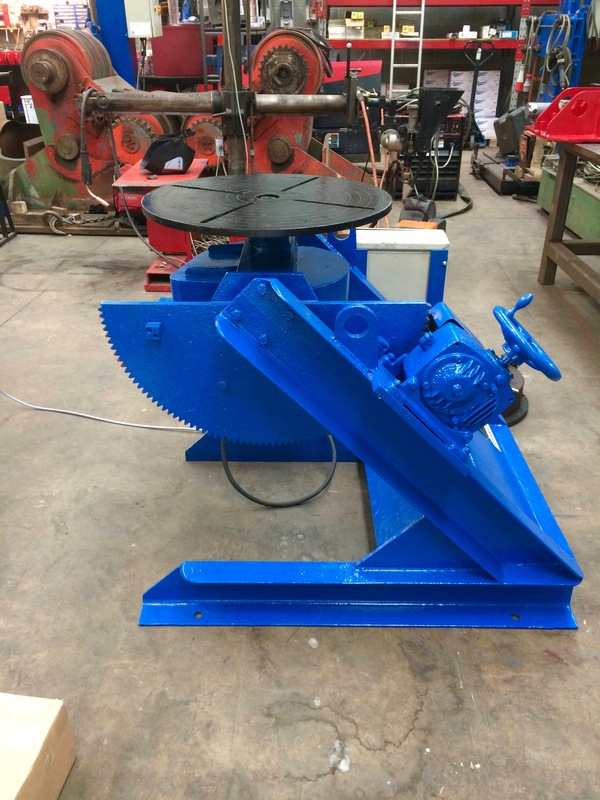 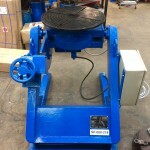 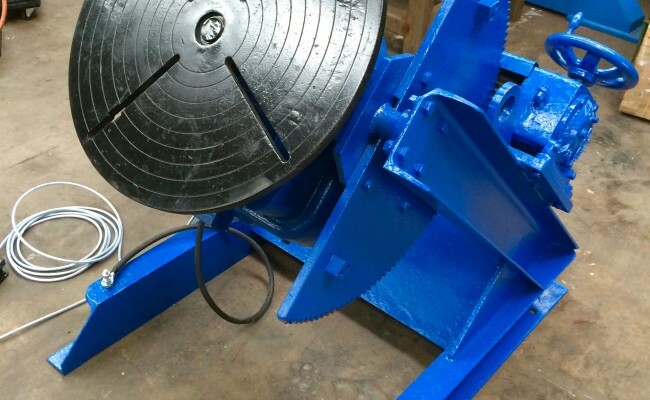 We have fully rebuilt this MPE 750kg welding positioner after a comprehensive strip down process. 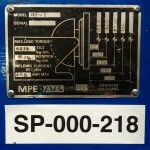 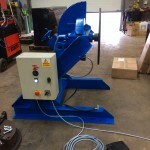 All oil seals gets checked/tested/or replaced and electronics gutted and replaced with brand new AC motors and cabling. 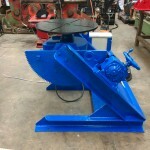 As seen in the photos the fresh paint job always puts the cherry on top to crown off our efforts, and this model here has come up very nice. 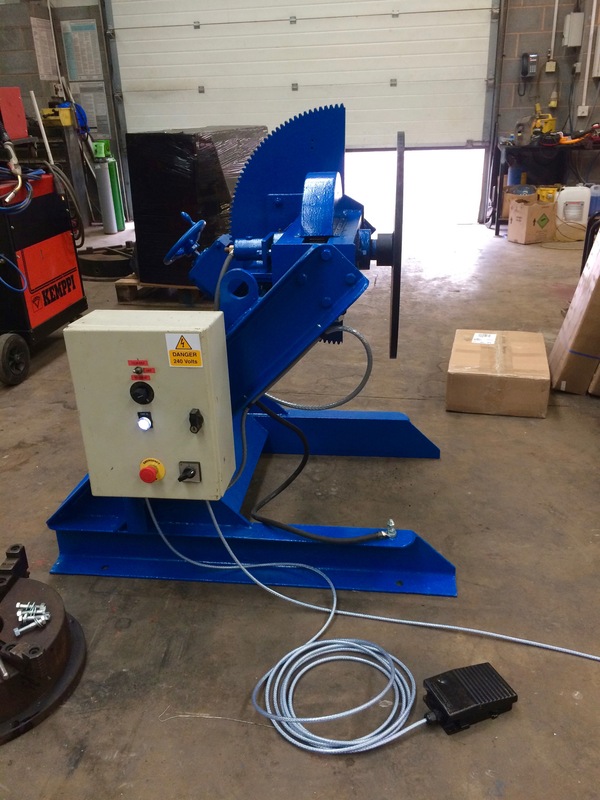 It's interesting that we have just supplied this machine seen here straight to a customer who specifically requested a manual tilt welding positioner. 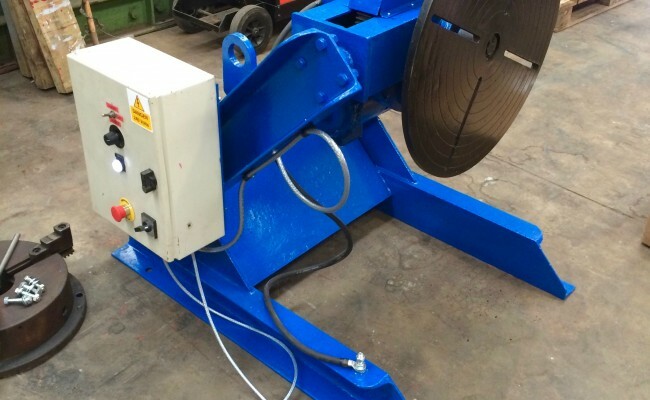 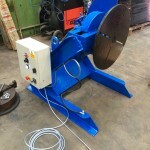 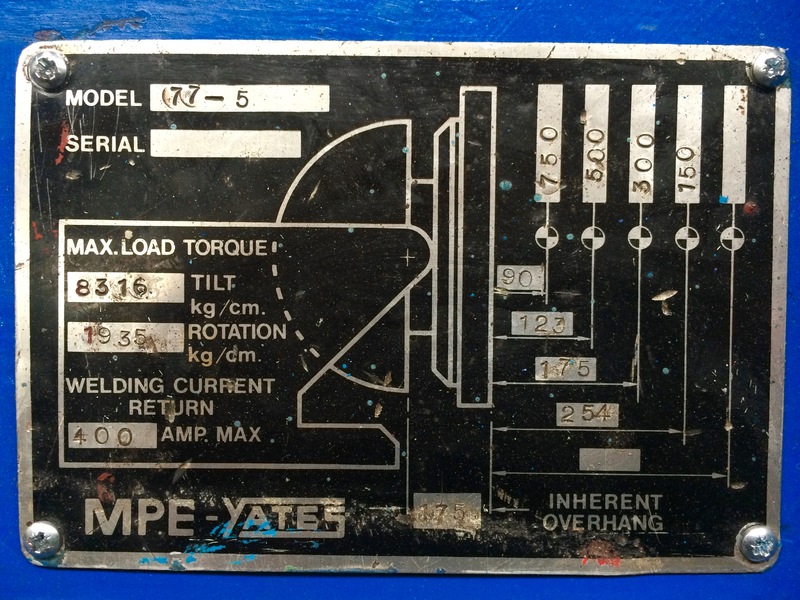 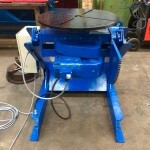 Not only because manual tilt machines we supply are cheaper than a fully motorised, but because they were supporting a long cylinder job with one of our support idlers 1500mm away from a permanently tilted 90° table, and without an 'up' or 'down' button on a pendant control it prevents any accidental tilting which can cause damage to the positioner. 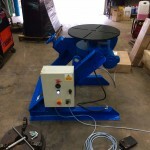 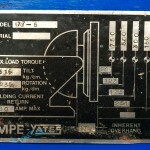 All in all we try supply our customers with whatever specifications they require. 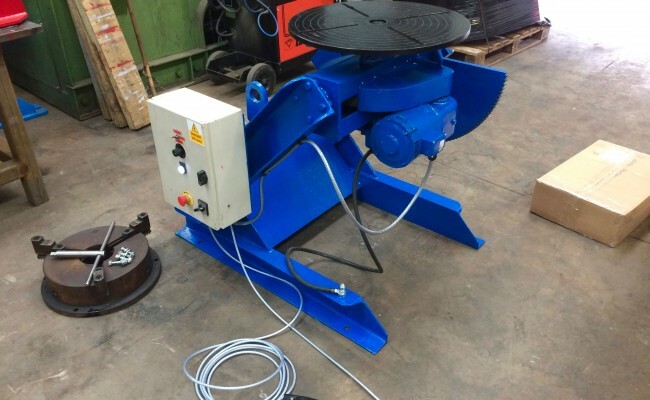 As mentioned this particular positioner is out on hire, but we have more of these machines with bigger diameter tables that are being built right now. 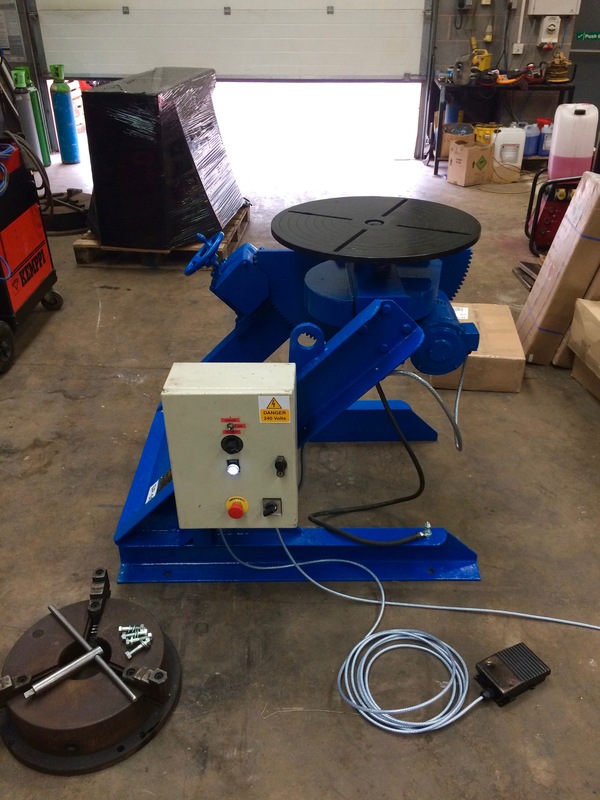 Get in contact for a competitive quote and to learn more about hiring and buying our positioning equipment, or if you need any technical help.